I really struggled with what to call these things. 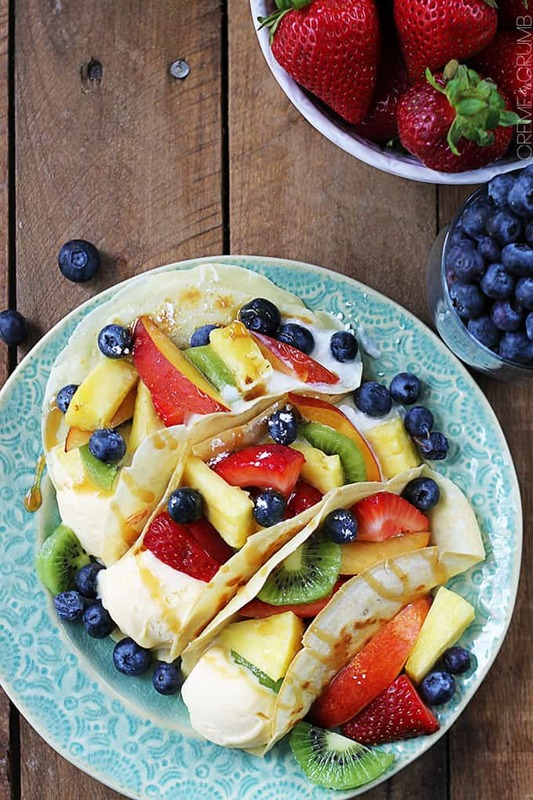 Crepe tacos? Ice cream tacos? Summer tacos? 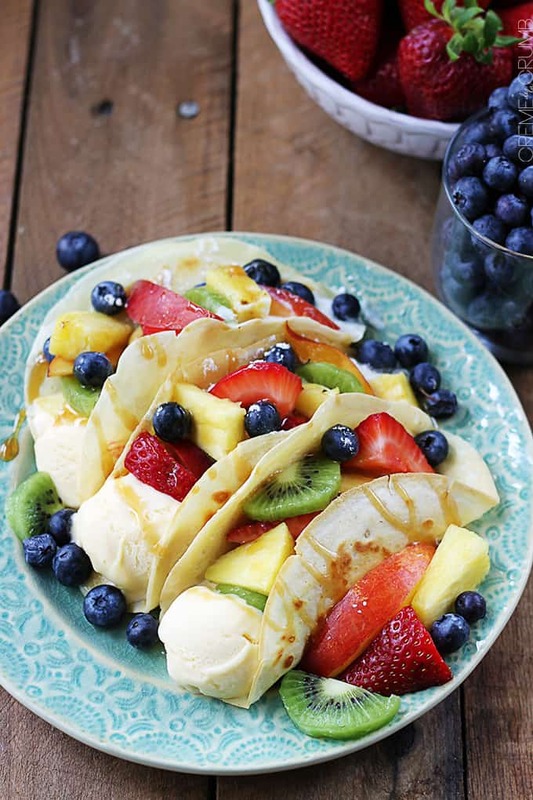 Backyard bbq tacos with ice cream and fruit? I don’t know, it all felt weird. But obviously I settled on “easy summer dessert tacos” and that seems to work okay. Summer dessert should be easy shouldn’t they? When it’s 93 degrees outside and I’m suffering from a sunburn, the last thing on the planet I want to do is slave away for a dessert. If at all possible, it should be simple, no-fuss, and quick. Usually that basically equates to grabbing a popsicle from the freezer, which I’m a big fan of. But this thing is that you’ve got some other options. Like dessert tacos. And look look look! I made patriotic dessert tacos. Okay basically I made several versions of a dessert tacos simply by switching up the fruit. But that’s what makes these tasty little summer treats so awesome, you can top them with anything you like! 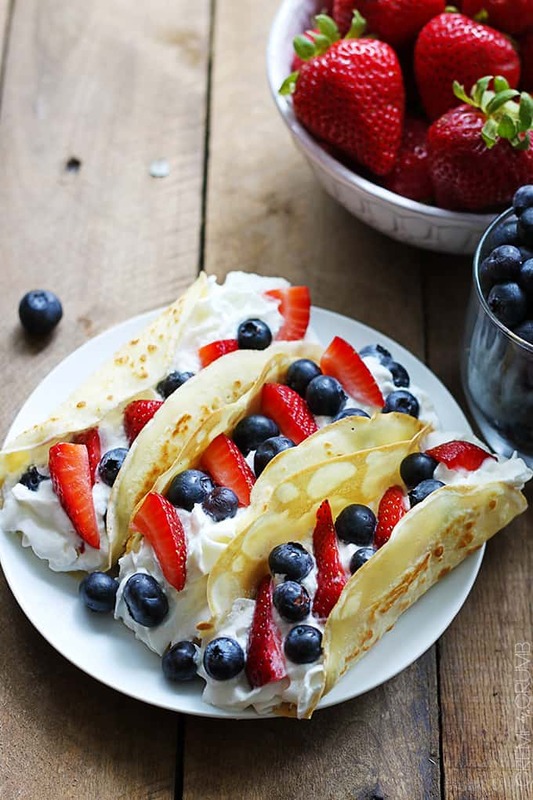 Strawberries and blueberries are perfect for the fourth of July, but don’t let that stop you from switching things up. 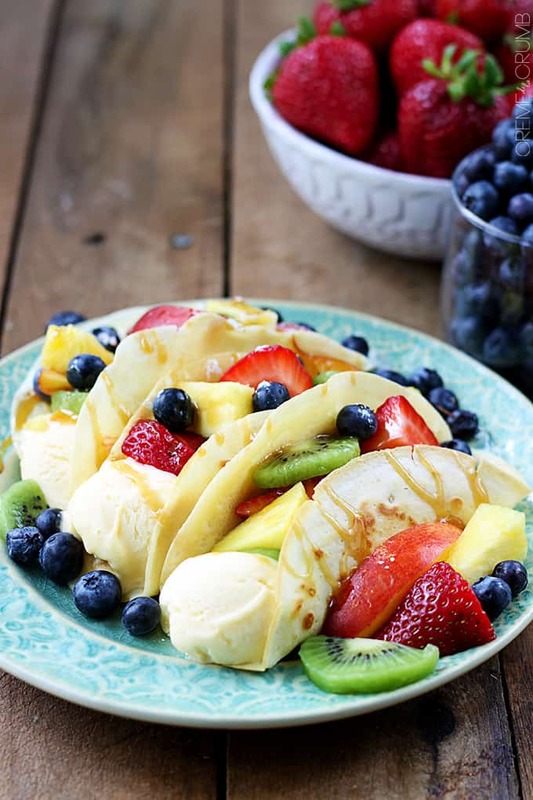 A tropical pineapple, mango, and coconut taco would be heaven. Or strawberry kiwi, or blackberry nectarine, or strawberry banana. See? Endless possibilities. And to make this even more awesome, you can make the taco shells ahead of time and chill them til you’re ready to serve dessert after your big backyard bbq! Those tacos are looking amazing! I’ve never tasted a sweet version, but I can’t wait to try it! Gah these are gorgeous!! Love the fourth of July options! Oh my gosh, I wrestled back and fourth about doing 4th of July or not and eventually could never decide so I did both ha!! Thanks Chelsea! These look amazing and such a clever idea! What a wonderful idea this is!!! Beautiful, refreshing and easy dessert for Summer. These look so good! 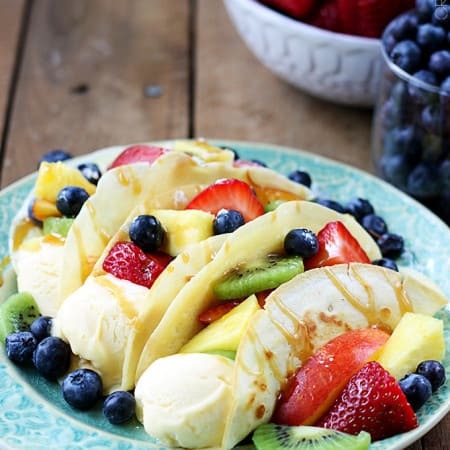 I love the idea of dessert tacos! I have been wanting to make a dessert taco for some time, I’ve only ever seen them made with sugar cookie ‘tacos’. 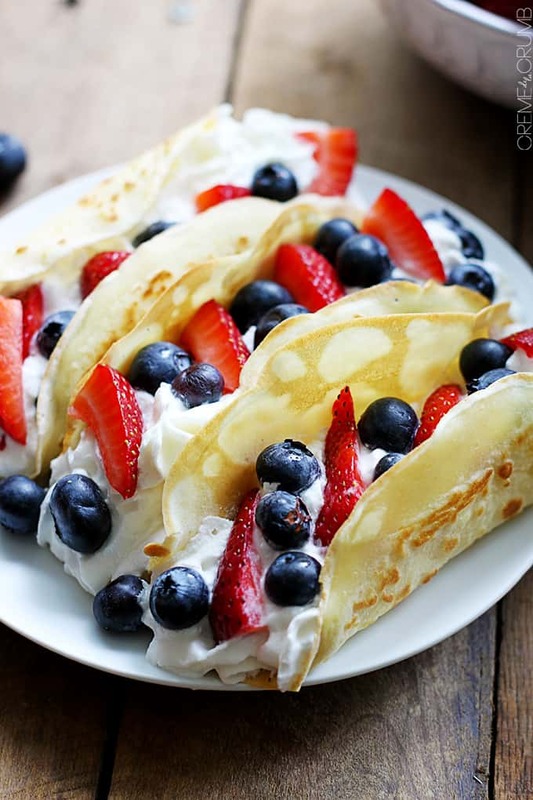 I LOVE the crepe idea, will definitely be trying this soon!